It’s a tough decision when it comes to choosing an investment property. You have to consider factors such as location, cost, financial goals, interest rates and the type of property. With all the effort that you’ve put in to purchasing your property, it makes sense that you should have the right insurance in place to protect your investment. 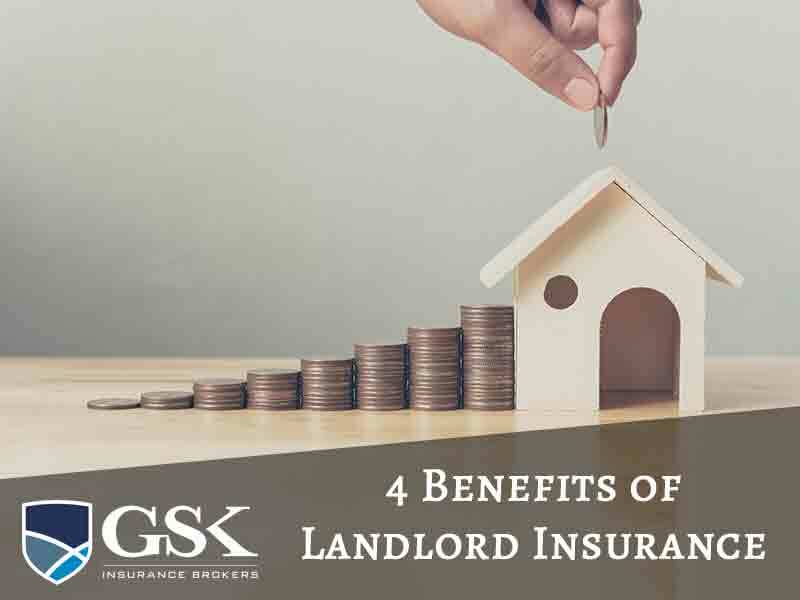 Today, we’ll be looking at some of the benefits of having landlords insurance in place. No matter how trustworthy your tenants seem, there may be instances where malicious damage or vandalism occurs due to their actions or that of their visitors. The cost of fixing damage can be expensive which is why landlords insurance is so essential – it protects you against the costs involved so you’re not out of pocket. Of course, not all damage is intentional and there may be times when well-meaning tenants cause accidental damage. Don’t worry, your landlord insurance will also cover these circumstances! If you’re like a lot of investors, you rely on regular rent as a source of income. So how would you cope if the rent suddenly stopped? Your landlord insurance will help cover loss of rent if your property is uninhabitable following events such as storms or fire. It can also assist if your tenants default on their rent payments or leave the property early, leaving you without paying tenants. A lot of landlords don’t consider that they may need legal assistance with their tenants, but unfortunately there may be times when you need help evicting a tenant. In these instances, your landlord insurance can help cover the costs involved in taking legal action against your tenant. It can also protect against the legal costs if a tenant makes a liability claim against you if damage or injury occurs on your property. If you find yourself in a situation where your tenants or their visitors have carried out theft or burglary at your property, your landlords insurance can help with the cost of damage and stolen items. You’ll also be able to replace your locks following a break-in if they’re damaged or your suspect the keys have been duplicated. Landlord insurance policies vary, so make sure that your policy is right for your needs. Speak with your insurance broker for some advice – they can help ensure that all of your risks are adequately covered. If you’re looking for landlord insurance in Australia, GSK Insurance Brokers can help. We understand how important it is for your investment to be protected and we develop a tailored solution to ensure that you’re protected financially in the event of the unexpected. With our personalised service and industry knowledge, you can rely on us for your insurance needs. For the best landlord insurance, contact the experts at GSK Insurance Brokers today on (08) 9478 1933.